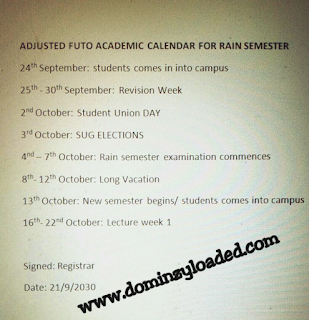 This is the adjusted academic calendar for FUTO students. 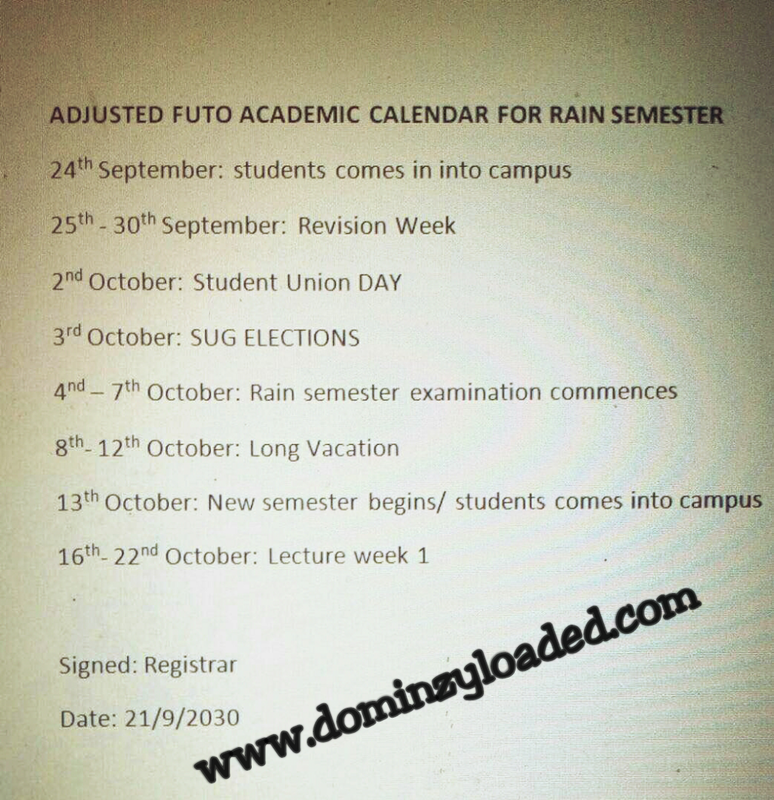 This calender was drafted after the suspended ASUU strike. 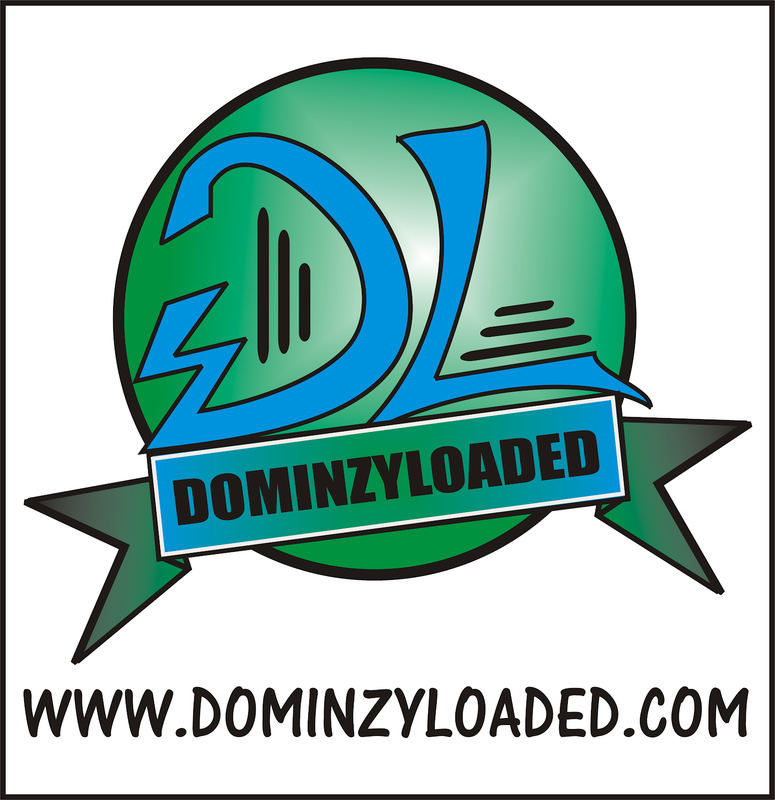 All FUTO students are hereby advised to resume school immediately as lectures have commenced and every lecturer is trying to cover his/her syllabus before the exam day.